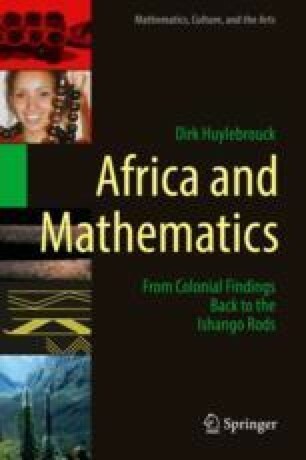 The book explains the importance of the Ishango rod for mathematics and its history. For the author these rods are witnesses - among many others - of African “ethnomathematics”. Thus, this word is explained first, as it can come to a surprise to some readers: is not all mathematics universal? Scientific sources are provided about gathering mathematical information from Africa before colonisation, when written sources were so rare. Some pitfalls of overenthusiastic examples are mentioned as well.